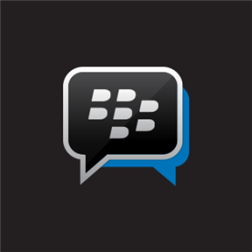 Blackberry have launched the beta version of their instant messaging app, BBM, on the Windows Phone Store. This is the fourth OS that the app is available on, after BlackBerry OS, iOS, and Android. You will need to sign up for a Free BBID (BlackBerry ID) to use the app and the service. After which, you can send invites to your friends (via email or using your unique PIN). Apart from the regular two person chat, BBM also offers multi person chat, and BBM groups.Just a heads up, the beta version has a few bugs, and it also lacks a few features that the Android version has, such as Voice and Channels. You can download the BlackBerry Messenger for free from the Windows Phone Store. BBM Beta for WP weighs about 11MB in size, and is compatible with devices running Windows Phone 8 and above.